BeHere was a initiative conceived inside an education environment. In a small team with three developers, we created a toolset envisioning modern learning spaces.  With BeHere students attendance is automatically gettered, using iBeacon technology. With LiveClass, we create a virtual space where teachers can instantly share rich media content to their students inside the classroom. With those two main features we're able to develop a full set of tools for students to control their class schedule and connect that with the content in each class. BeHere is still used in institutions around Brazil, however we're not actively developing more features for it.